Stampost.com - 1377 P Dx2 USSR Art Covers USSR 1960 27.08 Space -travelers Belka and Strelka. 2.1. 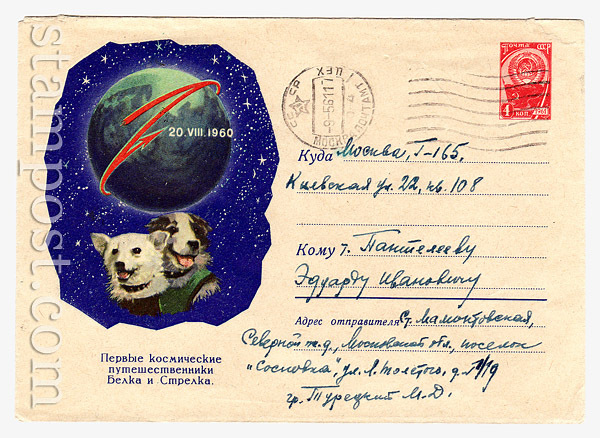 Russian postal cards with litera "B"
1377 P Dx2 USSR Art Covers USSR 1960 27.08 Space -travelers Belka and Strelka. Space -travelers Belka and Strelka.